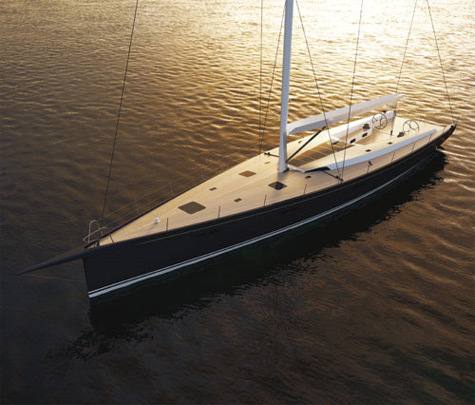 After a year of development Rogers Yacht Design presented Rogers 82, a fast cruising yacht with elegant lines, Med-style cockpit and contemporary interior. 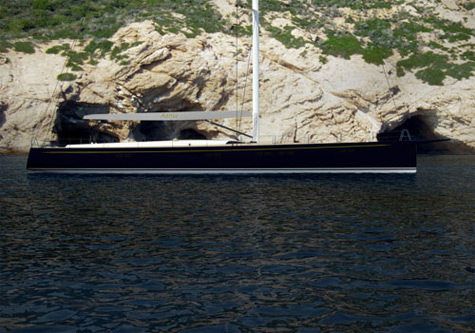 She provides comfort, style and high performance – a balance often proving hard to achieve in a yacht of this size. 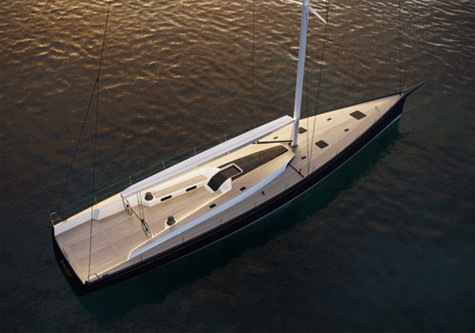 The Rogers 82 is currently in build at Carbon Ocean Yachts, Bristol, Rhode Island and is on schedule to launch in September 2010. 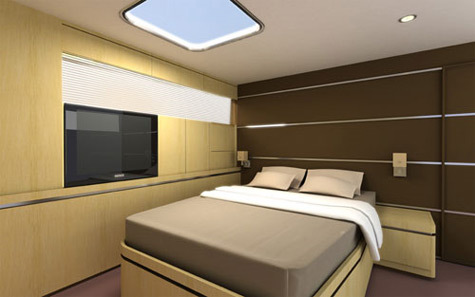 The interior of the yacht is light and spacious and was customized according to the owner’s wishes. 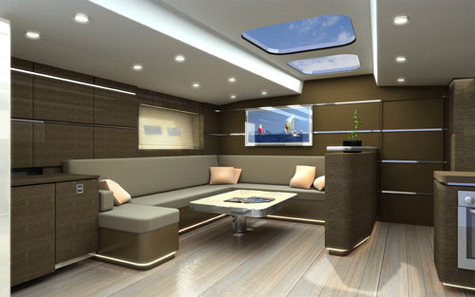 The owner is able to occupy the whole yacht from the saloon to the bow. Two separate cabins can be created forward when cruising with guests. The saloon is spacious with an open plan layout, with the galley off to one side this then leads to the crew cabin aft, with an additional guest cabin on the opposing side. The Rogers 82 has several distinctive features. The large lazarette with direct deck access from the cockpit is the most significant one. The lazerette can house a 3.25m Williams Jet tender with ample additional space for equipment. The design is available for future production in a semi-custom format, allowing clients to optimize the yacht for their specific requirements.